Avi Buffalo in Montreal or Quebec City? Inform me about the next events for Avi Buffalo. Enroll yourself to our priority waiting list for Avi Buffalo to be alerted when new tickets are available. Filling this form doesn't engage you to any purchase. Avi Buffalo will be back in Montreal on October 16th, 2010, for a concert at Il Motore. Avi Buffalo was part of the Osheaga Festival and performed at the Parc Jean-Drapeau on Saturday July 31st. 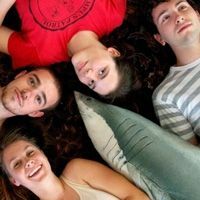 Montreal indie rock act The Darling DeMaes will be the opening act for this Avi Buffalo concert in Montreal.